The orginal is always better. Not everyone is a Spitzweg. 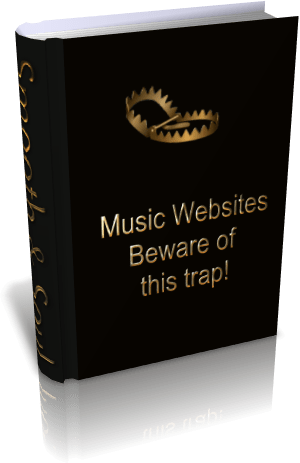 Music Sites Beware Of This Trap! Tags: Music Sites Beware Of This Trap! Broadcast Music Incorporated (BMI) became the first music industry organization to embrace the internet as a new venue for the uses of BMI affiliated music when they signed their first internet license in 1995. Since that time BMI demands royalty fees from music pages. Music page means a web page which presents one or more icons or hyperlinks that may be clicked on to access performances of music or at which music is played on by loading the web page. Musical compositions, like other intellectual property, belong to their creators. U.S. Copyright Law grants certain exclusive rights to copyright owners, including the right to publicly perform and the right to authorize others to publicly perform the work. Web sites that publicly perform music must obtain a license from the copyright owner or their representative. Even non commercial bona fide websites which present these links or play music by loading the web pages have to pay these fees. According to BMI’s non-commercial web site music performance agreement the annual minimum license fee for 2010 is $ 320! Besides BMI there are The American Society of Composers, Authors and Publishers (ASCAP) and Society of European Stage Authors and Composers (Sesac) which are working with the same principle. Canadian music collective Independent Music Promotions recently celebrated the release of their new e-book “Your Band Is A Virus“, which outlines marketing techniques effectively used by today’s independent musicians. With many industry-related books being released by CEO’s and record label owners, this release shows a definite change of attitude in the way independent music is promoted to the mainstream. The book explores the ideas behind viral marketing, guerilla marketing, and “behind-the-scenes” marketing, which suggests breaking the traditional submission rules and contacting the industry professionals, bloggers, dj’s and music media individually in order to build relationships and garner high amounts of press. More information on “Your Band Is A Virus” is at http://www.yourbandisavirus.com.